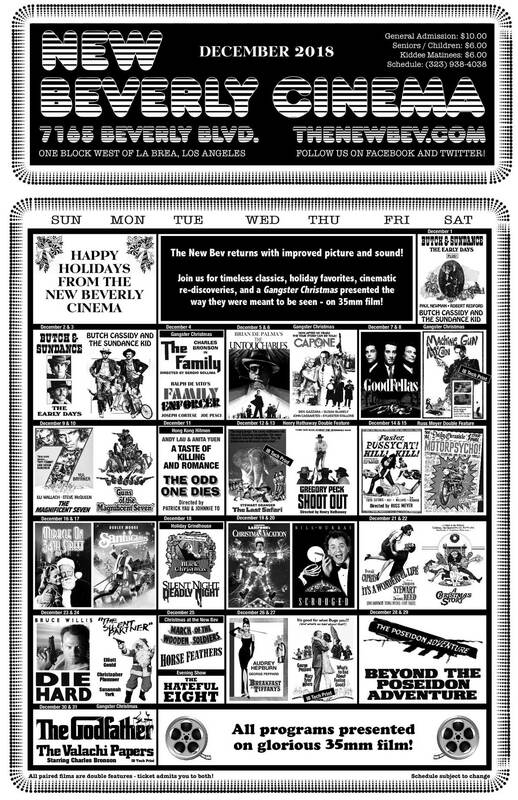 The New Beverly Cinema returns December 1st with a month full of double features personally picked by head programmer Quentin Tarantino. See timeless classics, holiday favorites, and cinematic rediscoveries the way movies were meant to be seen – projected from 35mm film! Check out the calendar below, download a PDF, and then head to the online schedule to buy tickets and read more about each event.